New Delhi: Swarlal from Bhilwara in Rajasthan has been sitting under a tree at Parliament Street, listening attentively to speakers demanding that the government disburse universal pension of Rs 3,000 for the elderly, single women and specially-abled people. 65-year-old Swarlal is part of a group of 550 people from Rajsamand, Ajmer, Bhilwara and Pali districts of Rajasthan who travelled in buses to join thousands of others from over 16 states in a two-day protest in the heart of the city. Carrying flags and placards, these people on Monday protested against the government's pension schemes under which it provides a paltry sum of Rs 200 to Rs 300 to the beneficiaries. The protesters have gathered under the banner of NGO HelpAge India and Pension Parishad, a network of around 200 civil society organisations. Swarlal and his wife, aged 55, are landless labourers and earn around Rs 3,000 to 4,000 a month. He complains that he gets work only for a few days and it becomes difficult to make ends meet on other days. "There is no regular work under the Mahatma Gandhi National Rural Employment Guarantee Act either. We get Rs 30-35 for the work we do under MNERGA. Can you run a household in Rs 35?" Swarlal asks. He gets a pension of Rs 500-Rs 200 from the Centre and Rs 300 from the state government, which he says is not even enough to buy medicines for the diseases related to old age. Linking of pension to Aadhaar has added to their woes. "Many times, the bank deny us our pension if the thumb impression doesn't match," he rues. 66-year-old Poonam Singh, who has come from Jaitaran in Pali district, alleges that the state government increased the allowances of ministers and legislators but did nothing for the poorest section of society. "The local MLA, Surendra Goyal of the BJP, never visited our area in the past five years. Nobody listens to us. 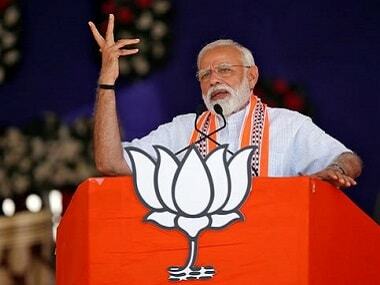 That's why we have come here, hoping that the government will pay some attention to our demands before elections," Singh says and adds he will press the NOTA (None of the above) button in electronic voting machine if no party agrees to their demands. Drupada Gaval, 45, from Latur district in Maharashtra, spent Rs 1,500 out of her monthly earning of Rs 2,500 to travel 1,500 km on a train to reach the protest venue on Sunday. "The Maharashtra government gives a pension of Rs 600 to widows. We are demanding that it be increased to Rs 3,000 at least," she says. Gaval says she has a son who is a Class 12 student of a private school. They work in the fields to pay for his school fees and run the household. "I have only one son, but I think about others who have got four-five children to feed. They are in worse condition," Gaval, who has been participating Pension Parishad's rallies for eight years, says. "The local BJP MLA, Sudhakar Bhalerao, assured of raising the issue but nothing happened. We will not vote for him this time. 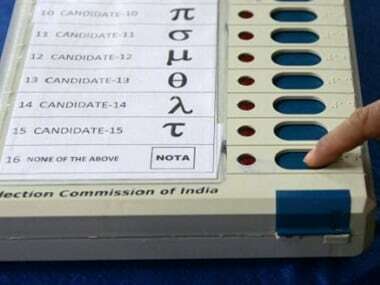 We will elect someone who fulfils our demands or press the NOTA button," she says. The Rural Development Ministry implements the National Social Security Programme (NSAP), under which it runs three sub-schemes for people aged above 60 from below-poverty-line households, widows, and persons with disabilities. 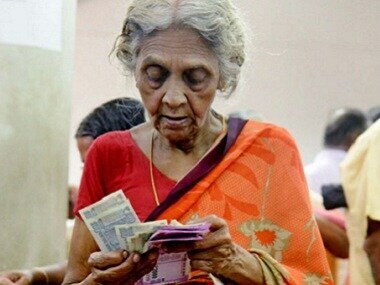 Under the Indira Gandhi National Old Age Pension Scheme (NOAPS), the Centre gives Rs 200 a month to the elderly. The beneficiaries of the Indira Gandhi National Disability Pension Scheme get Rs 300 a month and the Indira Gandhi National Widow Pension Scheme pays Rs 300 a month to widows over 40 years of age. The central government's contribution to the schemes remains unchanged since 2006, the organisers claim. "The government should give 50 percent of the minimum wage as pension amount, which is nearly Rs 3,000 per person per month, and link it to inflation," Nikhil Dey from Pension Parishad says. He says smaller economies such as Nepal, Bolivia, Lesotho, Botswana, and Ecuador ensure better social security assistance for their people than India. CEO, HelpAge India, Mathew Cherian says the Centre gives Rs 200 per month to senior citizens and state governments contribute in the range of Rs 200 per month in Bihar to Rs 1,800 in Goa, Tamil Nadu, and Delhi. Around eight crore people are entitled to old-age pension, but it reaches only 2.2 crore elderly people, he says. "Based on the consumption criteria of 2,100 calories per person per day in urban areas and 2,200 calories in rural areas, the monthly pension comes out to Rs 2,750 in 2018," noted economist Prabhat Patnaik says. 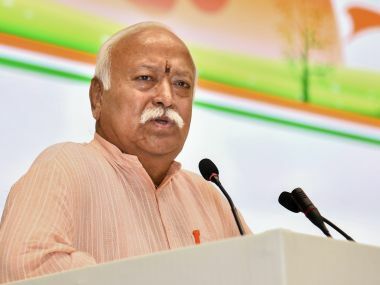 He says, "A mere 0.8 percent tax on the wealth of just the top 1 percent of the households will be enough to finance a universal rights-based old-age pension scheme."